Dr. Parker received his Doctor of Dental Surgery degree from the University of the Pacific, Authur A. Degoni School of Dentistry in 1982. He graduated from UCSB with a Bachelor of Science degree in Physiological Psychology. Dr Parker is a member of the American Dental Association, California Dental Association and Fresno-Madera County Dental Association. Dr. Parker established his dental practice in 1983 and has practiced at the same location ever since. He is part of a Madera tradition providing patients dental comfort and care for over 35 years. 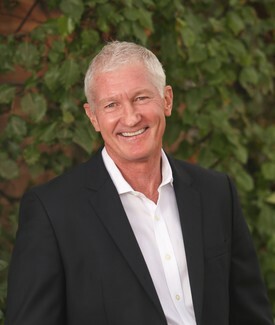 Dr Parker has extensive clinical experience in cosmetic dentistry, facial esthetics, mercury free restorations, crowns, bridges, dental implants, fixed and removable prosthodontics, and endodontic procedures. He has also completed postgraduate training in aesthetic dentistry at the University of California at Los Angeles School of Dentistry. He is continually educating himself and his staff on the latest techniques and approaches to offer advanced state of the art, comfortable, personalized and antiseptic dental care. Dr. Parker and his wife Nancy have been married over 35 years and have two daughters. When not providing care to his patients, Dr Parker enjoys snow skiing, sailing, kayaking and biking. Dr. Gorjian received his Doctor of Dental Surgery degree from University of Southern California, Herman Ostrow School of Dentistry. He graduated from University of California Irvine with a Bachelor of Science degree in Neurobiology. Dr. Gorjian is a member of the American Dental Association, California Dental Association and Fresno-Madera County Dental Association. Dr. Gorjian has practiced dentistry in Central and Southern California since 2011. His involvement with various practices throughout the years has enabled him extensive experience in providing all facets of dentistry. Dr Gorjian’s warm and joyful personality gives children a stress free dental experience. He is also passionate about providing cutting edge conservative dentistry to all his patients, having taken a vast array of clinical courses with direct application in endodontics, prosthodontics and esthetic dentistry. Dr. Gorjian has also completed the same postgraduate training in aesthetic dentistry as Dr. Parker at the University of California at Los Angeles School of Dentistry. 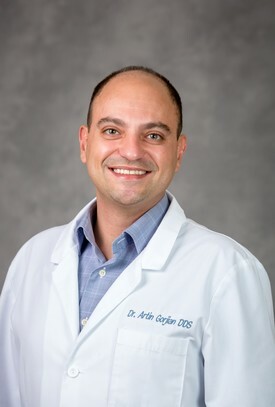 During his free time, Dr. Gorjian enjoys hiking, photography, reading, cooking and entertaining family and friends with his flamenco guitar music.